Students are required to pay tuition and fees upon receipt of e-billing notification either in cash, check, MasterCard or Visa, or through a deferred payment plan. Deductions will be made under various state and federal financial aid programs.  Electronic bills (eBills) are now the exclusive billing method for all Buffalo State student account balances. Paper bills are no longer mailed to students. Students can print a statement from link in Banner self-service if needed. All e-billing notifications will be sent to your Buffalo State student email address. If you officially drop courses during Drop/Add, or process a course withdrawal, leave of absence, or withdrawal from college through the Registrar's Office, you may be entitled to a refund or tuition/liability decrease. Refunds will be processed in accordance with SUNY approved policies. Official date of withdrawal is determined by the date the withdrawal form is received and stamped by the Registrar's Office or the date you process a course drop/ course withdrawal via Banner student system. Refer to Financial Liability Term deadline dates for further information.